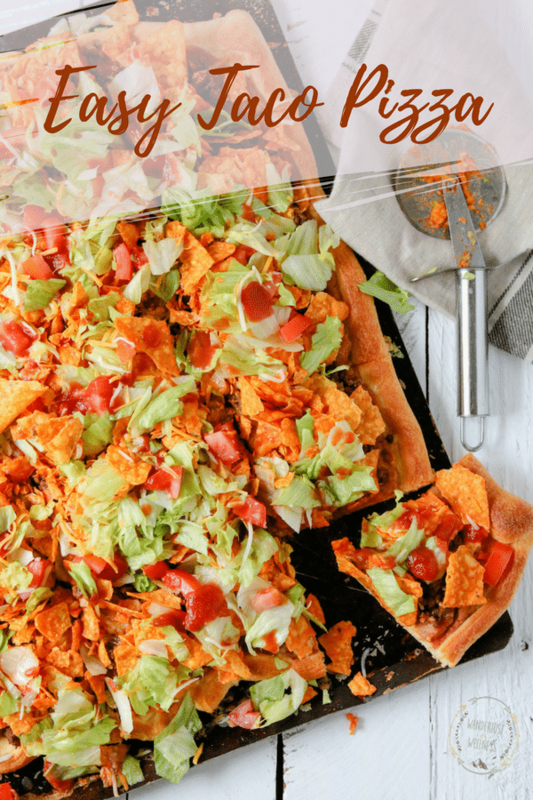 A super quick and easy taco pizza recipe, perfect for weeknight dinners or weekend fun! 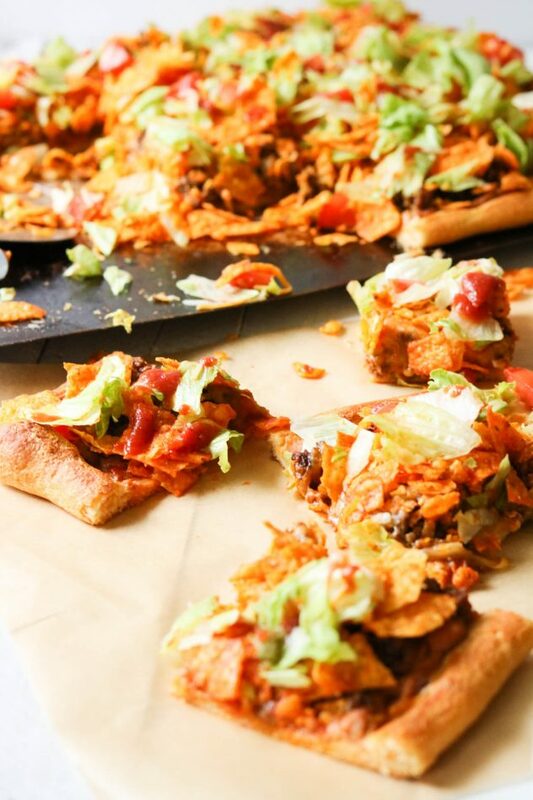 Sometimes, homemade pizzas can be ‘meh’ when it comes to flavor, would you agree? They’re really hit or miss, so when I’m able to create a homemade pizza recipe that’s A+ on flavor, I’m definitely going to share it with you guys! 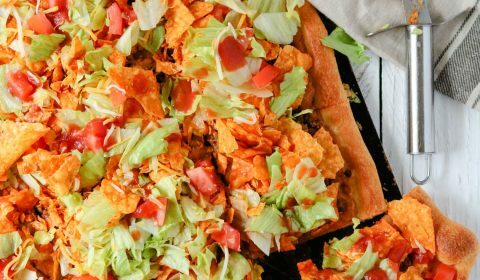 There’s a local pizza shop that serves its taco pizza with crushed up nacho cheese tortilla chips (like Doritos) and I just LOVE that extra added crunch on the pizza. 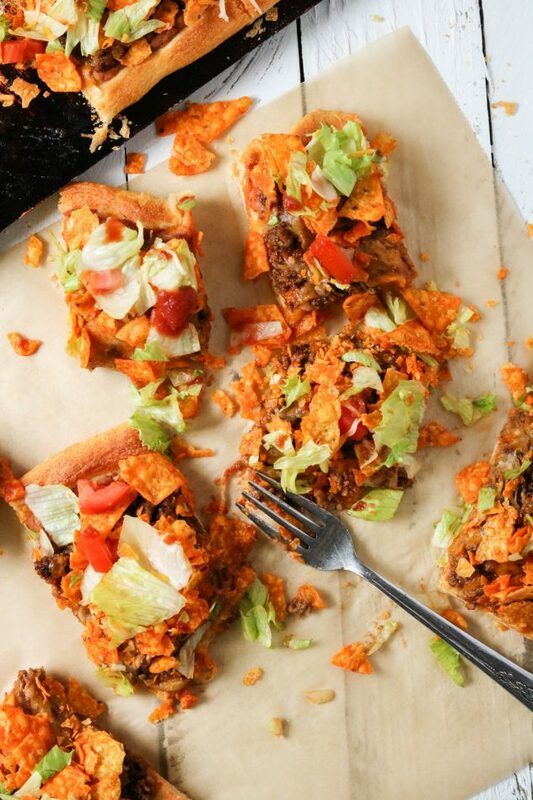 Tell me, what’s your favorite taco pizza? Chips or no chips? 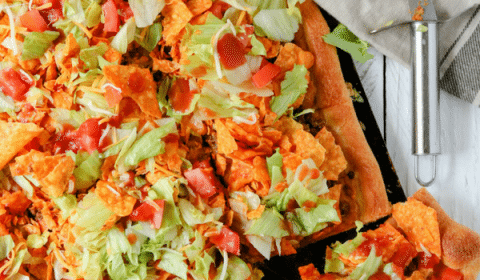 One thing I like about this pizza is the crescent roll crust! I know, I know, it’s not really the best in terms of ‘healthy’, but remember, I’m all about balance and one of my guilty pleasures is crescent rolls. And did you know that crescent rolls also come in crescent roll sheets?? Yep! That means all you have to do is roll them out, form a little crust, and voila you have your pizza crust. You’ll find that I used a lot of store-bought ingredients vs. homemade because sometimes life is busy and that calls for quick meals that the family will eat. Life’s too short to feel guilty about the quality of your food ingredients 24/7. Balance, right? As always, get creative! Add extra ingredients even if they’re not included in my recipe. Add sour cream if that’s your jam, or maybe some jalapeños or olives. I went with what my family will eat, so don’t be afraid to do the same for your version! 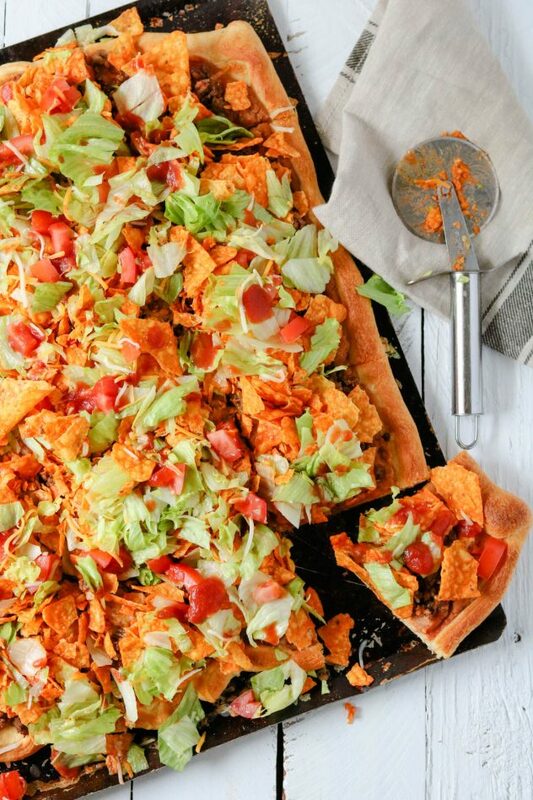 The best part of it all is you’ll have pizza on the table ready to devour in under 30 minutes!